Systopia International (USA) Enters into an Agreement to Resell the Point of Sale Solution from TCPOS North America Inc.
TCPOS North America Inc. today announces that the US subsidiary of Systopia International (Systopia) has entered into an agreement to bring TCPOS future-proof POS solution to the on-site and multiple-unit foodservice segments. “It is great to partner with a company that has extensive knowledge, understanding and robust capabilities that serves the hospitality, leisure and foodservice markets.” says, David Thomas, Managing Director, TCPOS North America. With TCPOS POS solution at its core, Systopia provides cloud-based, customized payment and ordering solutions to the hospitality market, including corporate dining, restaurant, healthcare, leisure, and higher education sectors. 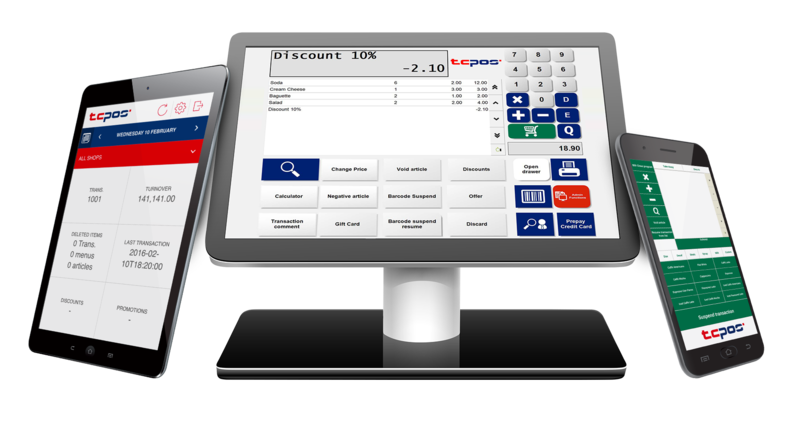 Systopia’s integrated solutions include traditional Point of Sale, Self-Checkout, Closed-Loop Cashless "badge pay", Loyalty, Online and Smartphone Ordering, Kiosk Ordering, Cashless Vending, and Executive Dining with a mobile ‘Digital Waiter’ feature. “Now, Systopia will be able to extend its leading global cashless payment and mobile solutions in the North American market and deliver innovative capabilities to the customers we serve”, says Kristi Noyes, Systopia’s USA Operations Director. Systopia International is a leading global provider of Cashless and POS systems for hospitality and foodservice in the Corporate Dining, Restaurant, Healthcare, Sports & Leisure, and University markets. Systopia’s multiple currency closed-loop payment system is unique in the industry. Systopia strives to offer customers the most innovative and flexible solutions and can combine a variety of payment types into a single POS solution – Closed Loop Cashless, Chip Card,, Mobile Payment, Contactless, Loyalty & Rewards, Subsidies, Vouchers, and Cost Center Charges. TCPOS North America Inc., a wholly owned subsidiary of TCPOS SA, is a leading global provider of POS software solutions to hospitality and retail businesses. With offices in US and Canada, TCPOS future-proof POS technology platform is designed for businesses to address the challenges and opportunities of complex integrations, multiple brands, retail formats, languages, and currencies. The only true POS solution on the market that addresses these opportunities in a single deployed infrastructure and a POS architecture that enables Omni-channel retail deployments. More than 10,000 customers all over the world trust TCPOS solutions and our extensible architecture and design philosophy.